London is an amazing city full of both unique and historical architecture sitting alongside new and whimsical sites like the eye of London seen here. Modern day life goes on surrounded by ancient buildings and traditions including our parliamentary political system of government. This style of government is similar to the American system of government in that the members of Parliament are elected by the people to represent their district. It consists of The House of Commons and The House of Lords. 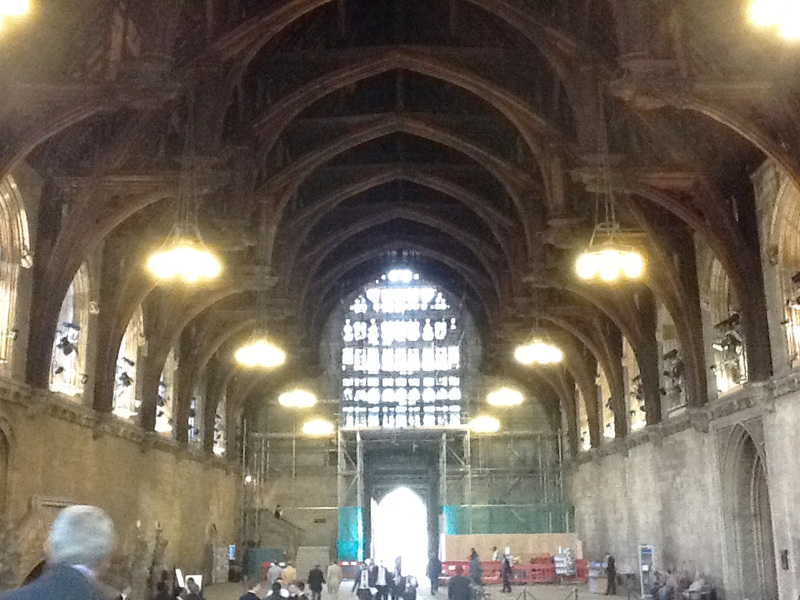 One of my dear friends from university sits in the House of Lords so we were able to get backstage passes, as it were, to view the building. For security reasons we were unable to take many photographs but were allowed to take pictures of the Great Hall (or original Hall). This part of the building has one of the oldest buttress ceilings in Northern Europe. Magnificent! 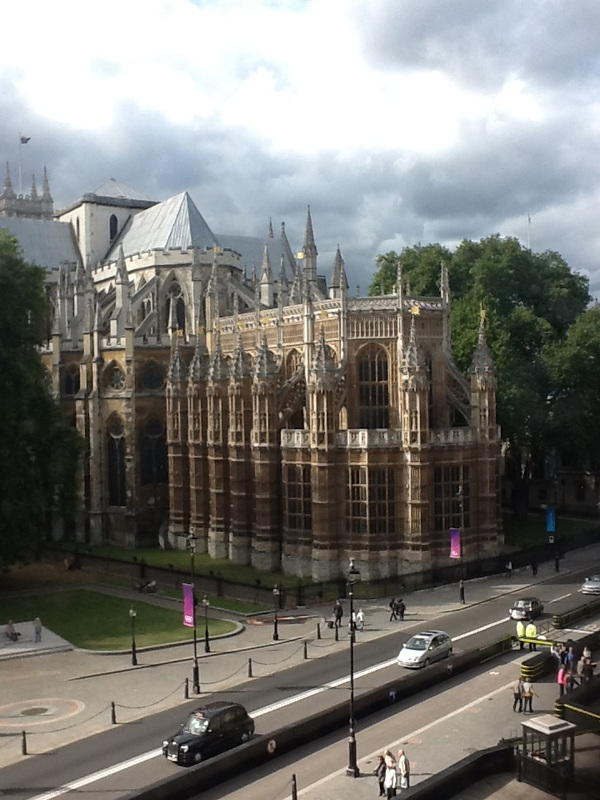 Maggie’s office has a breathtaking view of Westminster Abbey. 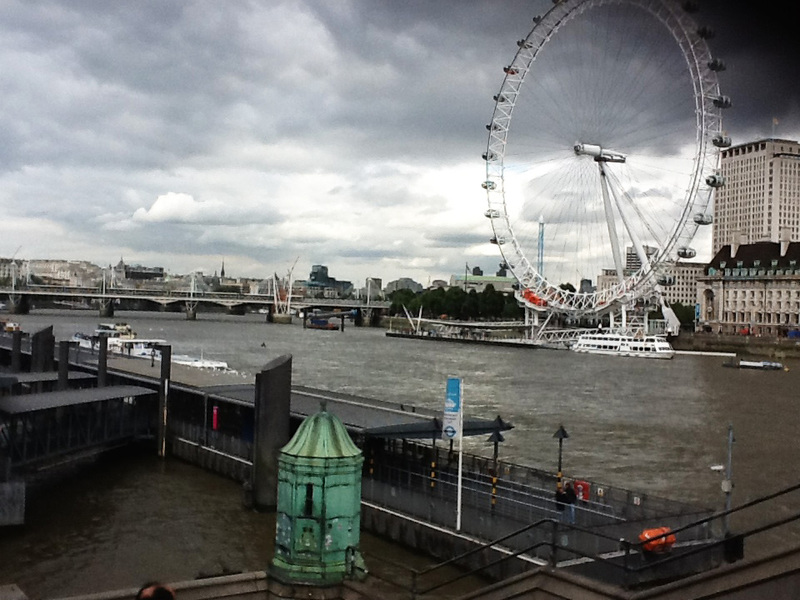 The time spent in London was a fitting way to end our trip and head back home. Is there nothing better than to spend vacation time with family and friends? This entry was posted in Uncategorized and tagged custom hardware, design inspiration, house of commons, house of lords, martin pierce hardware. Bookmark the permalink.